Netsanet Kinda is an electrical engineer by profession and founder of NBK Engineering. She is determined to find affordable, off-grid energy solutions "for Ethiopians, by Ethiopians." Less than 15% of rural Ethiopians have access to electricity, but rather than be discouraged by this figure, Netsanet Kinde, a microelectronics engineer and founder of NBK Electrical Consulting Engineers, dedicated herself to finding a solution to this challenge. Netsanet began her career at the Ethiopian national utility company after receiving her bachelor’s degree in electrical engineering, where she worked for ten years and rose from Junior Electrical Engineer to Project Manager. She later earned her master’s degree in microelectronics engineering. During her time at the national utility, where she gained experience working on large grid-scale power projects including the Gilgel Gibe 1 hydroelectric power plant and others, Netsanet realized that much of the Ethiopian population still lived in rural areas with no access to the grid, and were too sparsely populated to be connected in the near future. Netsanet Kinde realized the tremendous potential that existed in providing solutions to smallholder farmers living in remote and sparsely populated areas. Netsanet determined that off-grid systems, independent of the national grid, are an essential part of the solution for rural electrification. 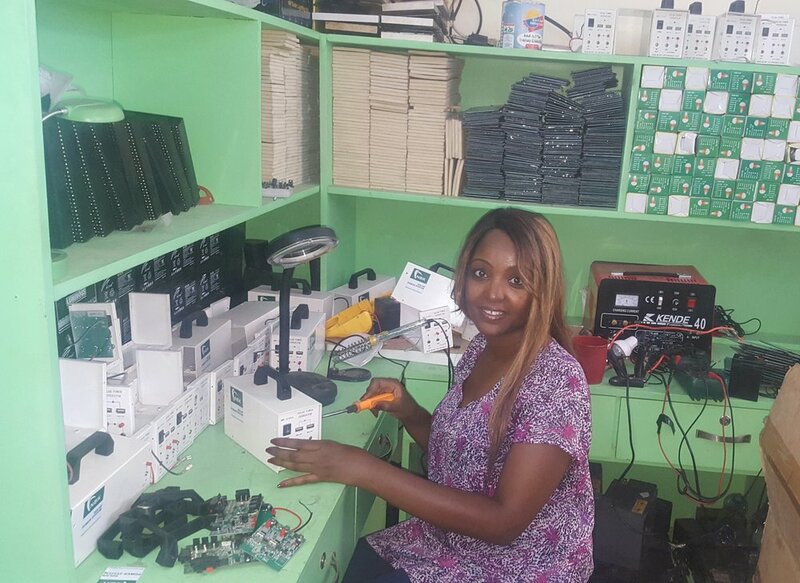 Using her electrical engineering background, Netsanet designed a solar home system prototype, which included two lamps and a charging system for devices, such as mobile phones and radios. Netsanet’s prototype is one of the first solar home systems designed for Ethiopians, by Ethiopians. The U.S. African Development Foundation, a Power Africa partner, invests in engineers like Netsanet who are finding solutions to local challenges. Last year, Netsanet was awarded a $100,000 grant from the Power Africa Off-Grid Energy Challenge. As a result of the Power Africa grant, Netsanet plans to sell and install at least 1,100 units in the next year, benefiting over 5,000 people in one year alone. Along with Netsanet, USADF has funded over 70 off-grid energy companies in nine countries in Africa, resulting in over 16,000 connections benefitting over 80,000 people. On International Women’s Day in 2017, Netsanet was officially recognized for the contribution of her company in the energy sector by the Ethiopian Ministry of Water, Irrigation and Electricity. In 2016 USADF launched the first ever Women in Energy Challenge to promote the advancement of enterprising women like Netsanet. The Women in Energy Challenge highlights the need to support technologies advanced by African women innovators and leaders who have lower access to finance than men in many African countries, where energy poverty disproportionately affects women. On International Women’s Day in 2017, Netsanet was officially recognized for the contribution of her company in the energy sector by the Ethiopian Ministry of Water, Irrigation and Electricity.